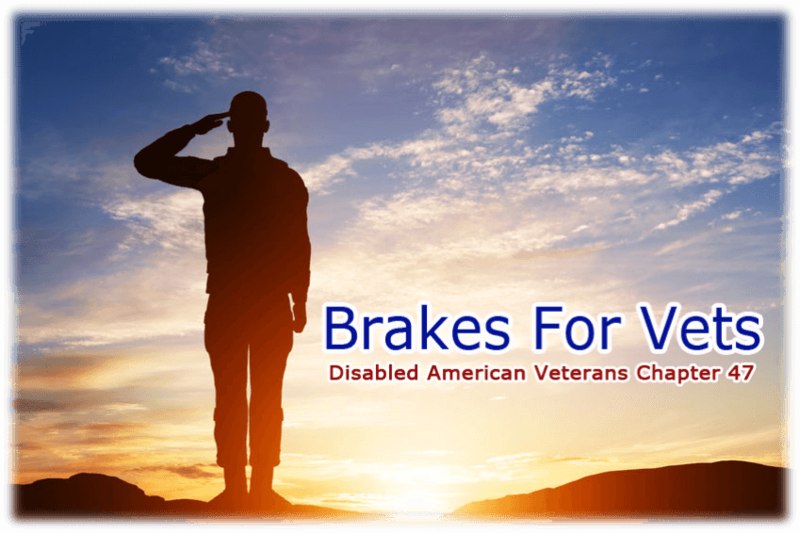 Thanks to everyone who took part in our 5th Annual “Brakes for Vets” Rebuilding Lives Campaign in 2017. 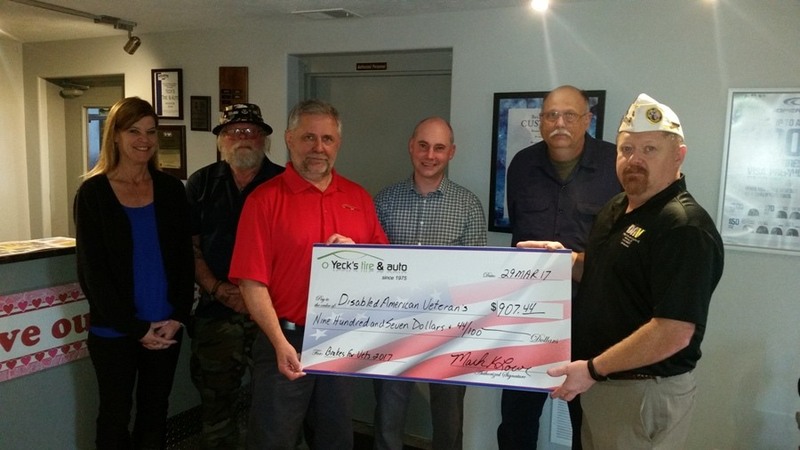 With your help, we were able to donate $907.44 to the Disabled American Veteran’s Chapter 47.
left to right: Lisa Pesek (NAPA), Carl Hanson (DAV), Mark Lowe (Yeck’s), Steve Shea (NAPA), Ron Svoboda (DAV) & Tom Kimmet (DAV). 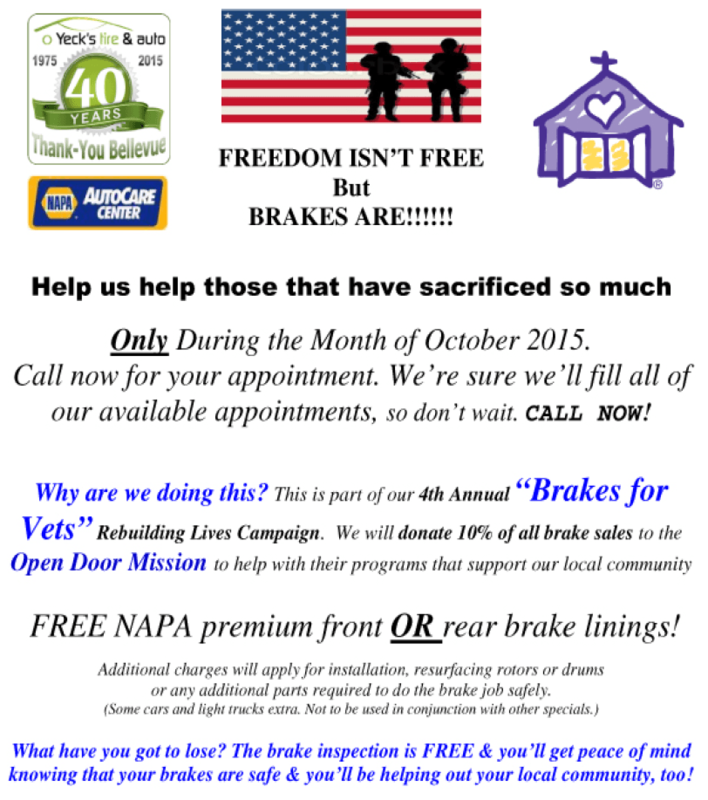 Thanks to NAPA & their amazing people for supplying the free brake pads and shoes. Without their help, Brakes for Vets would not have been possible. 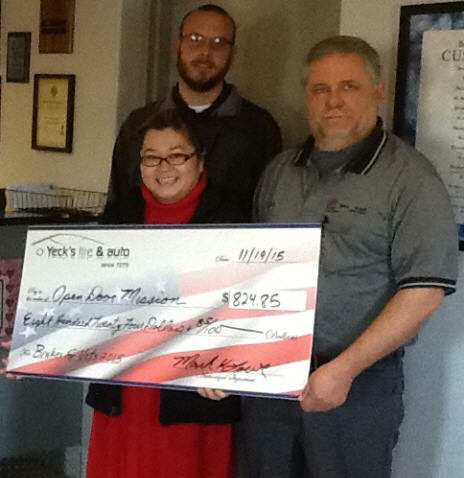 Yeck's Tire & Auto presented a check to the Open Door Mission from our “Brakes for Vets” campaign during the month of October 2015. From left to right: Dan Harbeck-NAPA; Mimi Hanor; Open Door Mission; Our Mark Lowe-Yeck’s Tire & Auto.